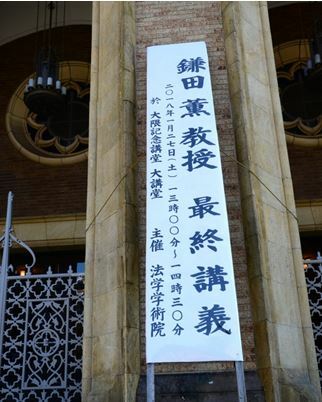 Banner about President Kamata’s last lecture. 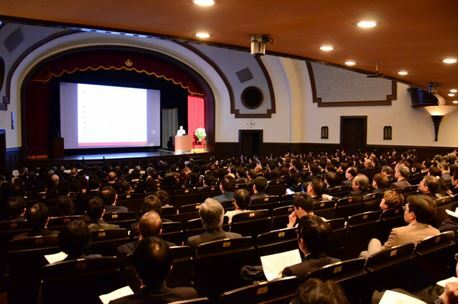 13:00 – 14:30, January 27 (Sat) at Okuma Auditorium. Organized by the Faculty of Law. 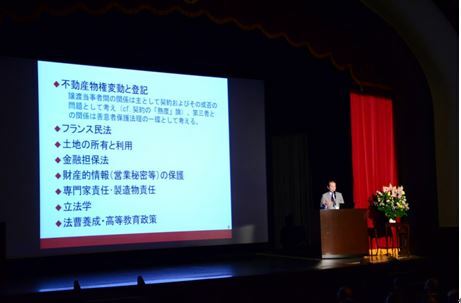 On January 27, President Kamata, also a professor at the Faculty of Law, gave his final lecture as a professor on the “Reform of the Civil Code (Law of Obligation)” in the Okuma Auditorium. 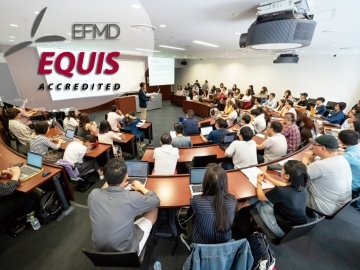 Holding a final lecture before a professor retires has been a tradition at Waseda University since the “Last Lecture on Shakespeare” was held in 1927. 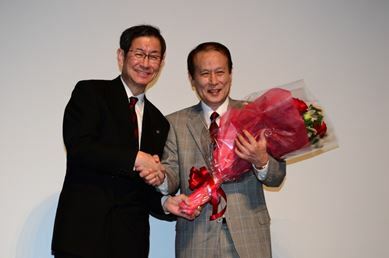 Before he started his lecture proper, President Kamata, who turned 70 years old this year, shared his life stories and career since he began his journey as a student of Waseda University. 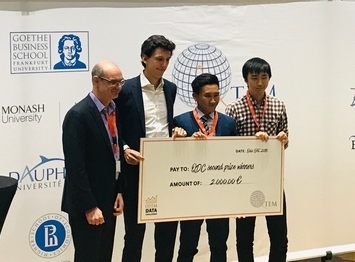 His career at the University adds up to about 40 years, in which he was deeply involved in research and education revolving civil law, property law, French law, etc. Additionally, President Kamata also took part in the planning of Cambodia’s civil code development after the Cambodia Civil War ended. 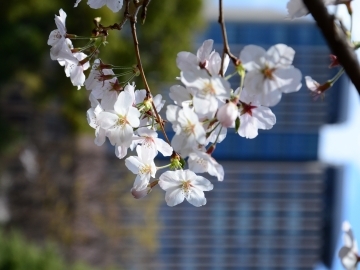 His research and involvement were not only highly regarded in Japan, but also internationally. 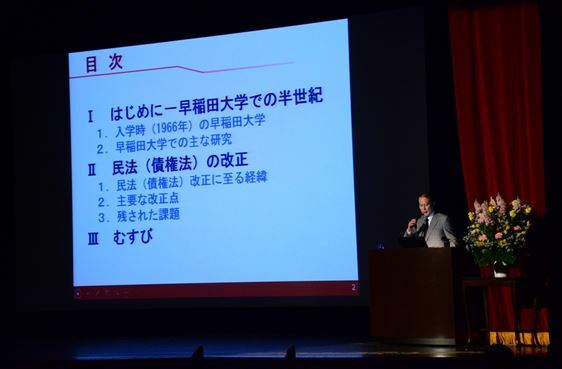 Agenda for President Kamata’s last lecture – (1) My 50 years at Waseda University, (2) Reform of the Civil Code (Law of Obligation) and (3) Conclusion. 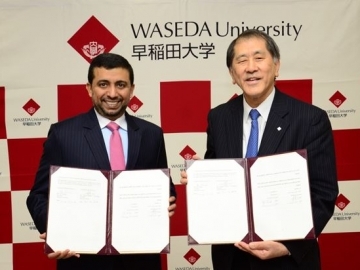 After being voted as the 16th President of Waseda University by staff and faculty members in November 2010, President Kamata channeled his energy into internationalizing the University and led the national council and advisory board. 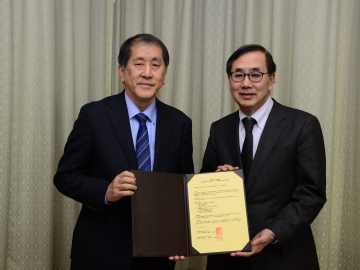 Additionally, he is also the chairman of both the national Education Rebuilding Implementation Council and Japan Association of Private Universities and Colleges. Although he will be retiring officially as a professor on March 31, President Kamata will continue to fulfill his role as the president of the University until November 4. 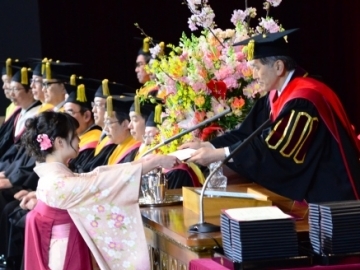 Speaking that most attendees at his lectures were usually students, President Kamata commented mildly at the auditorium that he had to tweak his lecture content to suit the significant number of elderlies present. 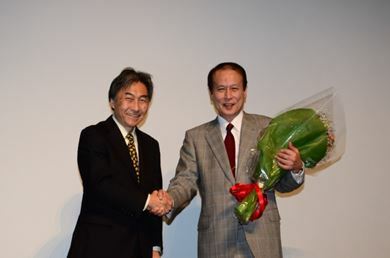 After his lecture ended, President Kamata received three bouquets of flowers from three different representatives.